Do you enjoy butterflies? Are you interested in being part of efforts to assess the current state of butterfly populations in your area? Then Blue Heron Ministries needs you. 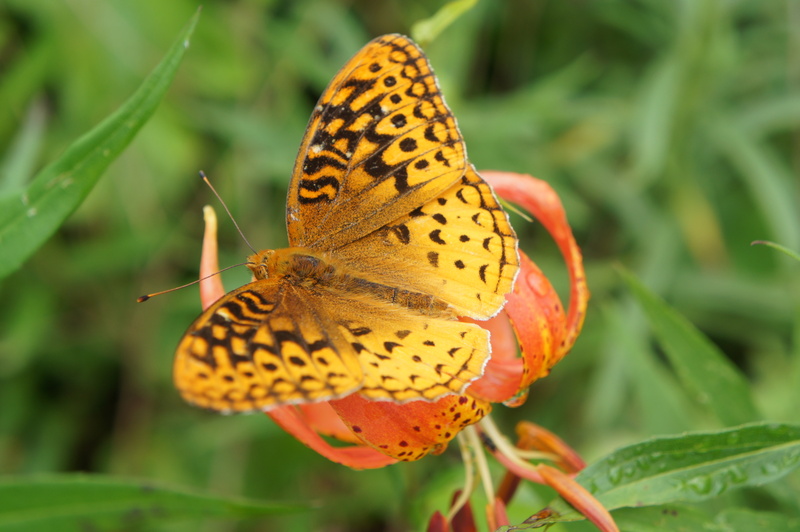 A team from Blue Heron Ministries, in partnership with the Michigan Butterfly Network, will be kicking off our second annual butterfly monitoring program at Pine Knob Park in LaGrange County on May 21st from 10am to 3pm. Come learn how to identify butterflies in our area and learn how this information is being used as part of a nationwide citizen science butterfly monitoring program to assess the current health of butterfly populations an their surrounding habitats. Last year, 3 teams of 2 people each surveyed trails at Pine Knob Park and Duff Lake Fen. This year, we hope to expand our monitoring efforts to include other natural areas in lakes country. At this year’s event, participants will learn how to identify the most common butterflies in our area, how to conduct butterfly surveys following a nationally used protocol, how to enter this data online into a national database, and will participate in an outdoor demonstration of the protocol. Lunch will be provided. Space is limited to 20 participants and a $5 registration fee is required. Mark your calendars now and join us for this great opportunity. Contact John Brittenham at johnbrittenham@gmail.com for more information or to learn how to register for this event.